The Greater Des Moines Public Art Foundation says “Bravo!” Last night a thoughtful, exciting plan called “Regional Cultural Assessment” for arts and culture in central Iowa was formally unveiled by community leaders. Bravo of Greater Des Moines, a local nonprofit support organization, funded the 15- month, $85,000 project. The Assessment builds on the extensive community planning work already completed, particularly Greater Des Moines’ Capital Crossroads effort, launched in 2012 and refreshed in 2017. 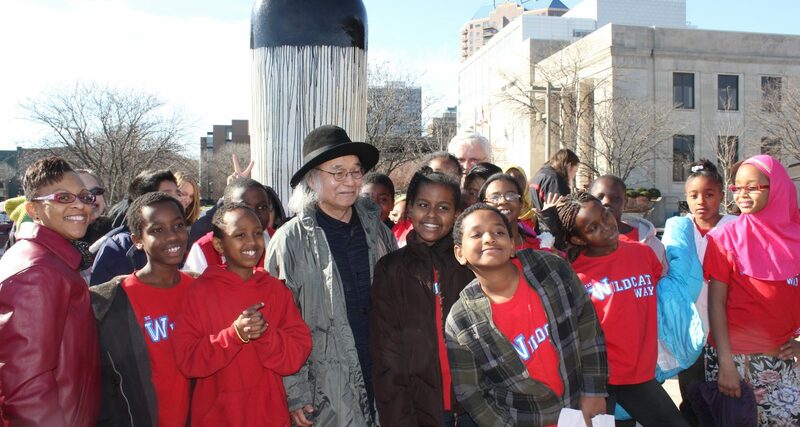 Artist Jun Kaneko with students visiting the public art project along the Principal River Walk in Des Moines. Collecting information from an estimated 800 Iowans through surveys, interviews and group discussions, the assessment explains four key initiatives to be considered top arts and cultural priority for the region moving forward. Every day, everywhere art: Create spontaneous artistic and cultural connections in new ways. Strengthen the creative economy: Develop the talent and skillset of local artists. Cultural tapestry: support the arts as diverse, accessible, inclusive and equitable throughout central Iowa. Youth connections: Ensure youth in the region have access to an array of cultural experiences. 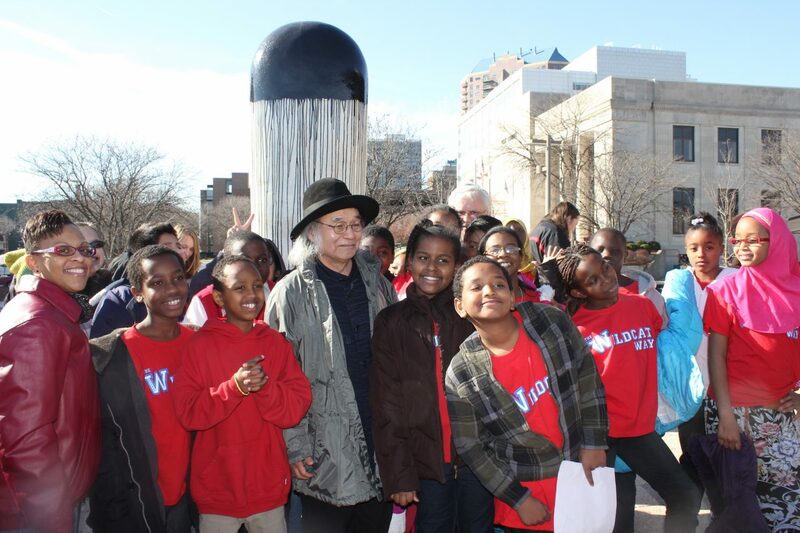 While building on successful efforts such as City Sounds, Art Route, the “Public Art Bus” and Art Along the Trail, implementation of this priority will rely on creative placemaking practices, new approaches to community design and expanding definitions of public art. Artistic and cultural connections deep within neighborhoods and in new and unexpected public spaces can be created, monitored and supported to grow and serve communities throughout the region. 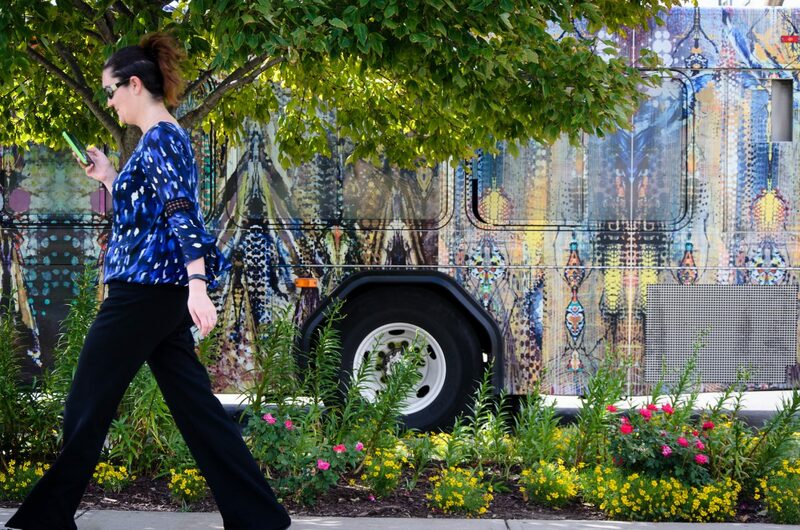 “Thanks to the continued partnership between DART and the Public Art Foundation, we are able to provide easy – and mobile – access to public art where people would least expect it,” said Polk County Supervisor and DART Commissioner Angela Connolly.